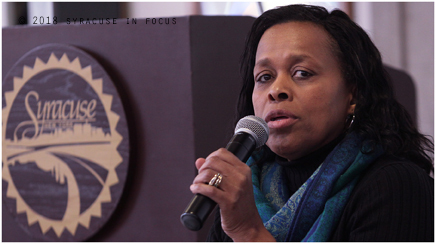 Sharon F. Owens, Deputy Mayor of the City of Syracuse discussed the national search for a police chief at today’s F.O.C.U.S. meeting. The process continues in May with profiling candidates and retaining a search firm. By September finalists will be selected, and the new chief is scheduled to start on the job in December. 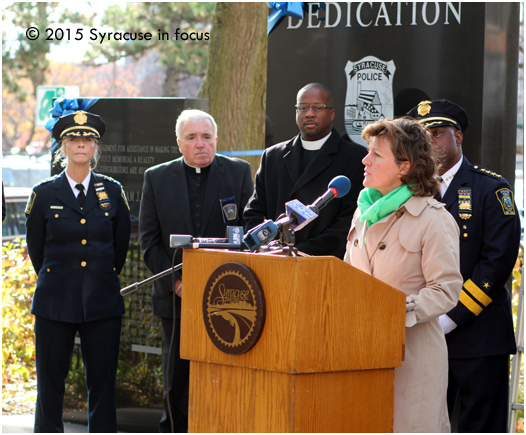 Mayor Miner gave remarks at the 25th Anniversary Memorial for SPD Officer Wallie Howard, Jr. in Forman Park on Friday. 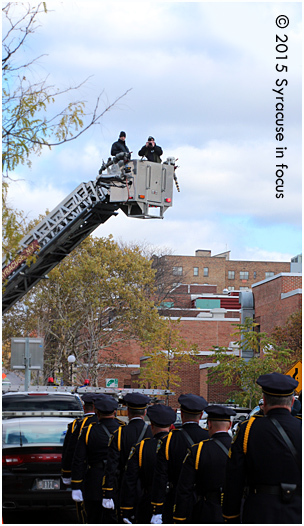 A shooter got a better vantage point to photograph members of the Syracuse Police Department along the Connective Corridor on Friday. 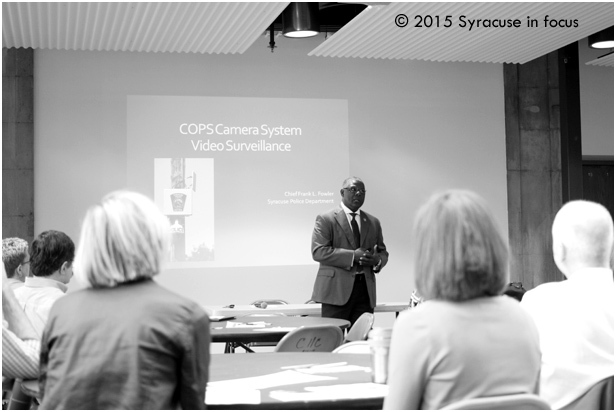 Chief Frank Fowler talks imaging for the Syracuse Police Department. A lot has changed since 1848 when the villages of Salina and Syracuse merged to form the Syracuse Police Department (SPD). 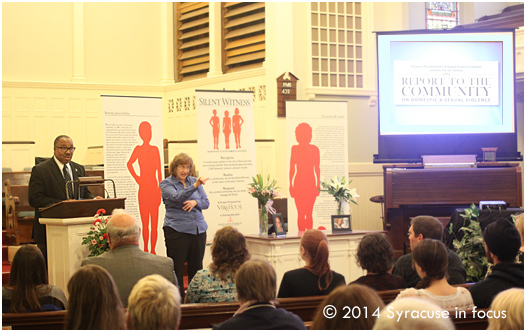 Here in the 21st Century police work and crime analysis are riding a wave of high tech. Chief Frank Fowler visited the F.O.C.U.S. Forum last week to discuss the successes (sophisticated cameras with hi def images and loitering-trip capabilities) and limitations (cost of monitoring and storage capacity) of police cameras in the city. Chief Fowler illustrated how the the SPD relies on sophisticated imagery, gigabytes of data, and social media to supplement their investigations. We wonder how soon the department will employ body cams.